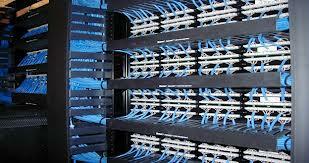 Voice and Data Cabling - Network cabling carries the lifeblood of your organization - information. To minimize expensive data network problems, Link Integration Group’s infrastructure solutions follows strict installation and testing guidelines. Coax Cabling – This is a critical piece of the infrastructure puzzle for our customers. Coax has been the medium of choice for high fidelity audio, television, satellite and broadband communications. Video Cabling - Video cabling can be closely associated with coaxial cable, because most video applications require coax, but we also install twisted pair cable for certain video applications. Twisted Pair Cabling - Unshielded twisted pair has been designed for use in voice applications and local area networks. Because of the relatively low cost, this cable is widely used and is available in several different performance categories.